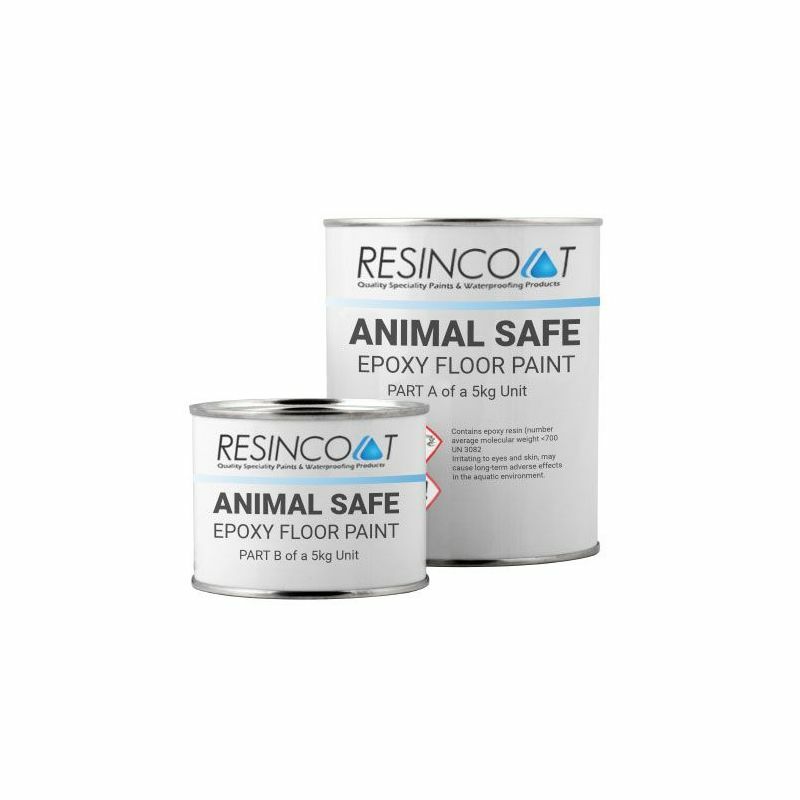 Resincoat Hygienic Kennel & Cattery Paint is a Heavy Duty Epoxy Resin idea for coating highly trafficked areas where contact with animals is highly likely. 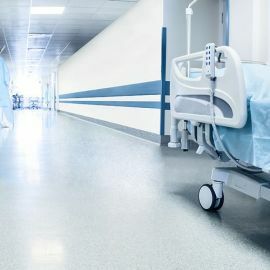 Our formula is animal safe, antibacterial and exhibits the highest strength whilst offering smooth, attractive gloss finish and where infection control and prevention is key. It has been used in animal centres throughout the UK and proven to be a long-lasting, effective solution to floor coating this type of space. Perfect for animal centres, kennels and catteries. Ambient Temperature During application 7 degrees min. 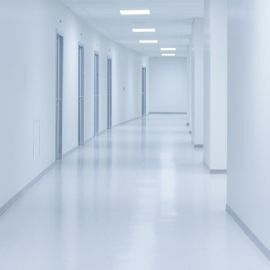 Typical Installations Painting floors where strict hygiene standards must be met. 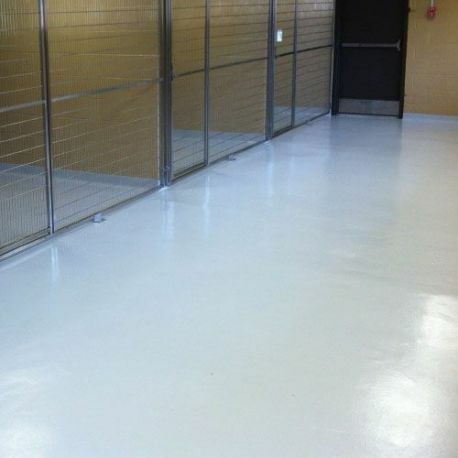 Resincoat Hygienic Kennel & Cattery Paint is a heavy duty solvent free high build epoxy floor coating and possesses very good abrasion and chemical resistance and its high build characteristics allows the application of coatings in excess of 0.25mm per coat. Two coats of Resincoat Hygienic Kennel & Cattery Paint can provide the equivalent of ten coats of conventional solvent containing coatings. 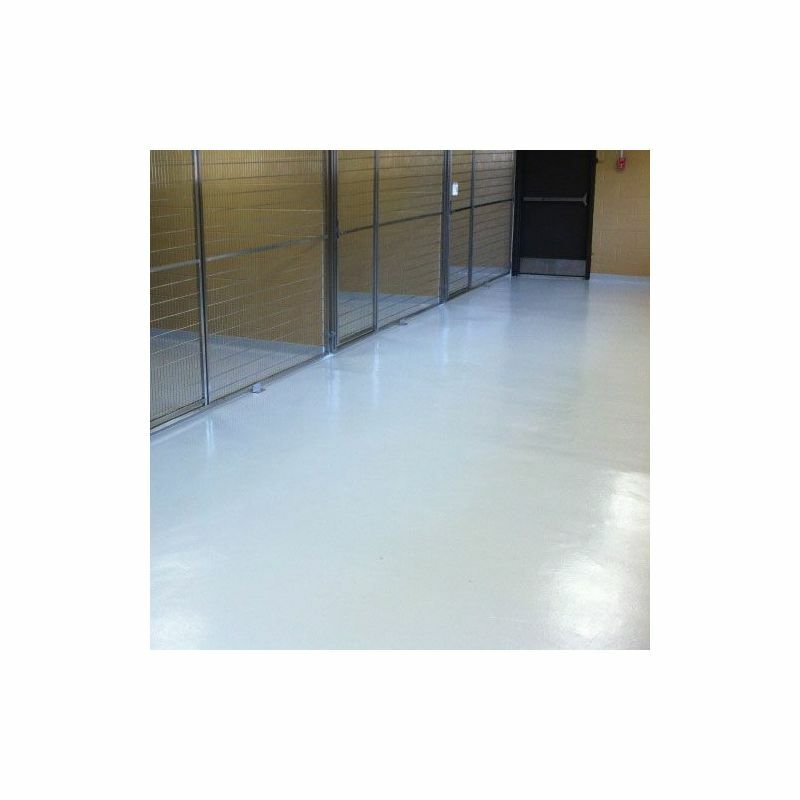 This product is an extremely hard wearing durable paint that when mixed with a hardener creates a chemical reaction to give the finish required. Because a chemical reaction is present the product has, dependant on ambient temperature, about 20 minutes in the pot before going off. 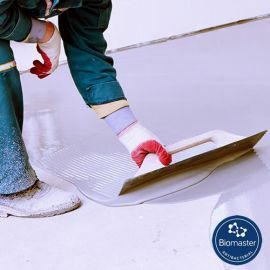 Once poured in a line on the floor and spread with an epoxy roller this time can, dependant on ambient temperature, be extended up to 40 mins working time. Please note 'pot life' and 'working time' are not the same. We used this coating in our kennels and cattery and they look great, was easy and quick to apply.